General Motors revealed the next-generation Ecotec engines for China, which bring greater fuel efficiency and performance. The two new engines were developed using GM’s global engine architecture. The first is a 1.0-liter turbocharged engine that makes 123 horsepower and 125 pound-feet of torque, and the second is a 1.3-liter turbocharged engine that produces 161 hp and 170 lb-ft of torque. 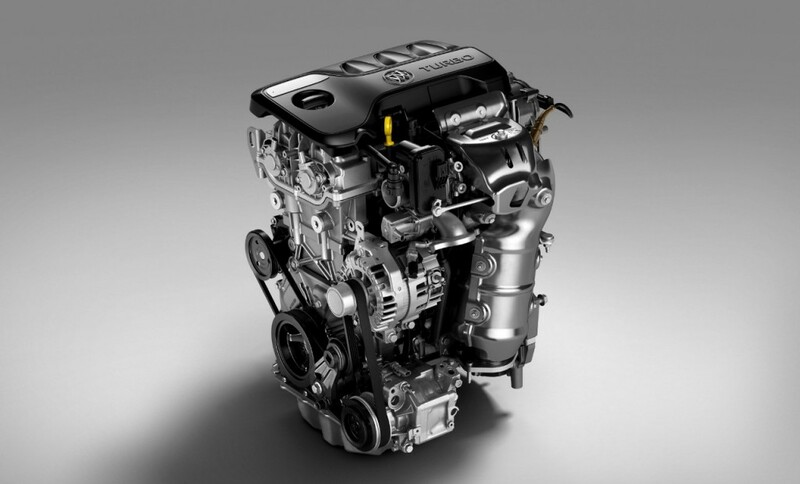 Compared to the current engines that power the Buick Excelle GT, these engines are 10 percent more fuel efficient. Diving into greater details, the engines feature dual-port injection, boast a redesigned combustion chamber, and engineers put the engines through nearly four million miles of testing. Both engines will launch later this year in Chevrolet and Buick vehicles, though their applications have not been revealed. I have a a hunch that both of these engines will be placed in the Chevy sonic, with the latter as an option. While the latter will be standard on the Chevy Cruze. Q: are they both 4 or is the engine in the picture a 3 cylinder. IMO It would be great if you could have manual “modes” for some of the larger 8 and 6 cylinder engines. For example, on the 5.3L, there should be a mode selector for “normal” (engine acts normally, still shuts down 4 cylinders when needed), “highway” (the AFM will be more aggressive, especially on the highway) and “eco” (engine runs on 4 cylinders 100% of the time). There is definitely times where the engine is running on all 8 cylinders, and its really not needed. After 4 Million miles of testing, one has to think that these new engines are bulletproof as the 1.3-liter turbocharged engine that produces 161 hp and 170 lb-ft of torque is a natural replacement the 1.5L DOHC-4v 4-cyl turbo that is currently used by vehicles like the Chevrolet Cruze and Trax CUV; this new 1.3L turbo-motor is smaller in displacement while making more power and when match with a 9-speed automatic transmission will get 50+ mpg mileage in the Cruze. Just for accuracy, the Cruze uses the new generation 1.4L and the Trax uses the previous gen 1.4L. I wish they had the 1.5 or 1.6L as options but nope, classic GM. Just 1.0L of displacement.. as you’ve got to wonder whether this is a 3-cylinder engine which would mean possibly a 2.0L V6 and unless INDY car changes their engine displacement rules, the 2018 Chevy INDY race engine could be possibly the share some genetics with the base engine in the 2019 Chevrolet Camaro (a 2.2L twin-turbo DOHC-4v V6). Hopefully these are replacements coming to the US for the outdated Sonic engines. The only problem with these small engines is that there may be lag as most of the power and torque won’t be achieve at the low rev range; GM could solve this by integrating a twin turbocharger a small turbo for low rpm and then a second larger turbo for when the engine gets up to speed because getting the 123 horsepower from the 1.0-Liter engine may take some time as will the 161 from the 1.3L engine.